Re:vision, the charity division of Reallies partner Procure Plus works with a variety of organisations to support people on their journey to employment. As well as supporting individuals directly, Re:vision also assist organisations with funding and improving their services, through capacity building support and the provision of professional training and development for frontline advisors. 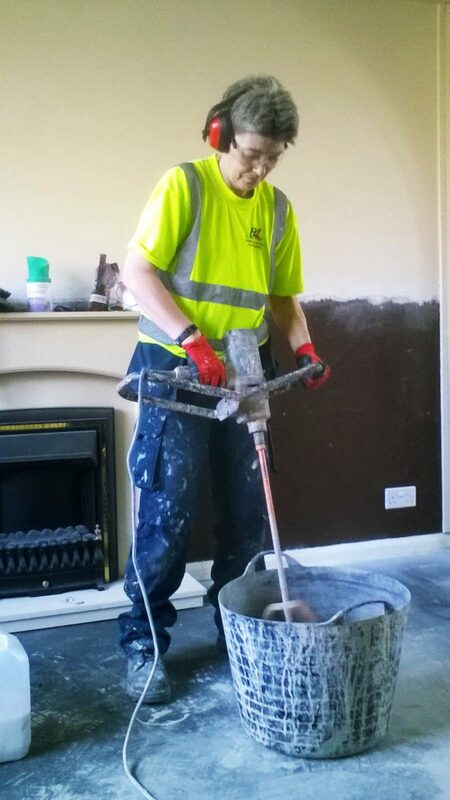 One of the organisations Re:vision provides funding support to is B4box – a construction company that also provides training and employment opportunities for people who are struggling to enter the labour market. Through its training academy over 95% of B4box apprentices go on to remain in sustainable employment. After a tough childhood Chelsea was at very low point in her life but was able to work with support agencies to take advantage of an opportunity to turn things round. 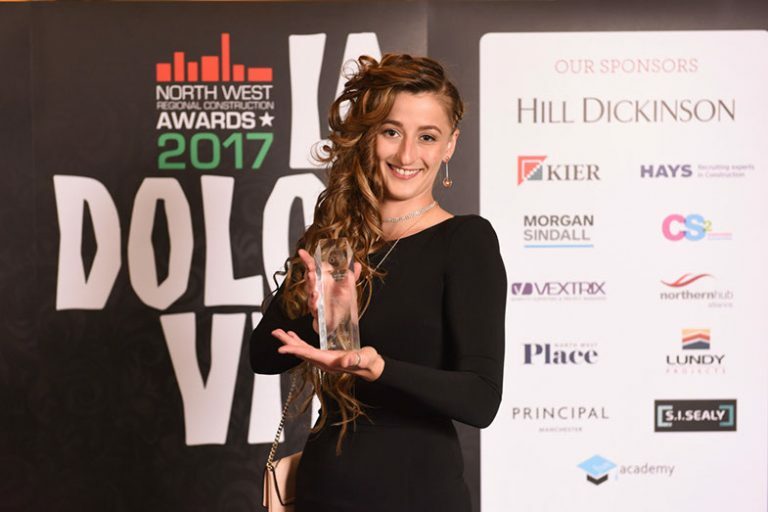 She began her training with B4box in 2016 and through hard-work and determination to succeed was recognised at the 2017 North West Regional Construction Awards where she won the Young Achiever of the Year award and has recently graduated from her apprenticeship in Multi-Trade Building Maintenance. Speaking about her experience Chelsea said: “This has been one the best things I’ve ever done. I would recommend it to any person who is struggling to find a place in society. I know women are under-represented in construction but personally as a woman working in construction it makes me feel stronger about who I am. B4Box introduced me to UCATT, the construction trade union, and I have been able to travel to events in Birmingham and London to promote the construction industry to women and to make politicians and policymakers think about how they can make positive changes so other women can follow me into the industry. I know the journey I have been on makes my Grandma so proud which is the best reward for me”. Krista is a tenant with Stockport Homes who had been out of work for over a year whilst looking after her child. Krista had been actively looking for a chance to get back into work but struggled to find an opportunity that fitted her commitments. 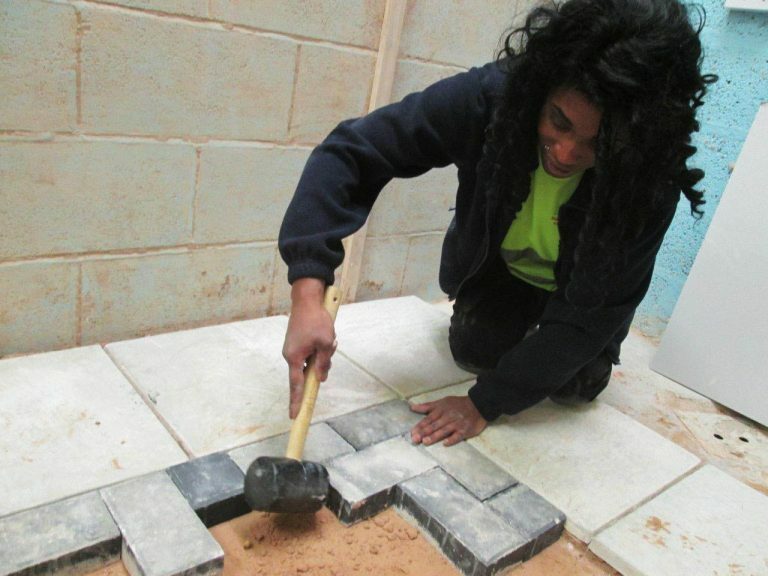 To prove her determination to get a job she decided to explore opportunities in industries she had not previously considered, including construction. 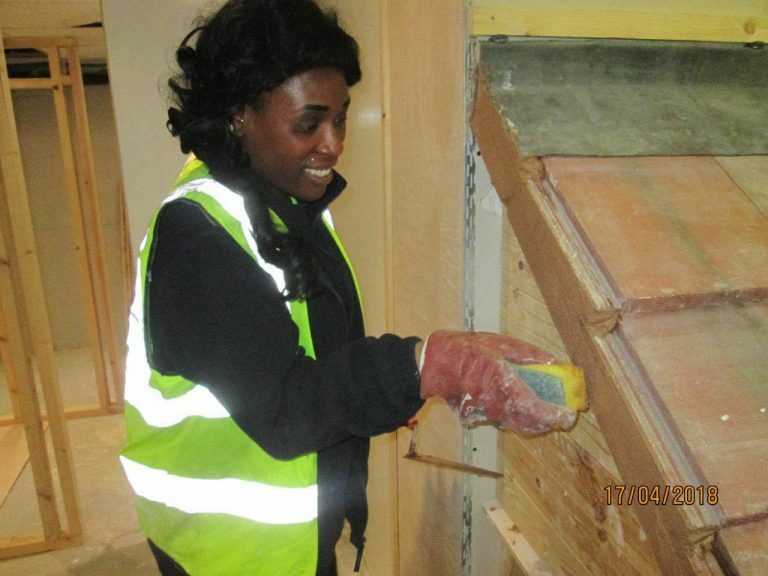 Krista contacted the Construction Industry Training Board (CITB) who introduced her to B4Box and she went on to complete an initial two-week on-site work experience programme as part of the bConstructive scheme. The hands-on placement gave Krista the chance to undertake a range of tasks and duties on site, like an employee would, but with an emphasis on learning to see if construction was suitable for her. The work experience placement was a great success for Krista and she impressed her colleagues with her attitude and commitment. 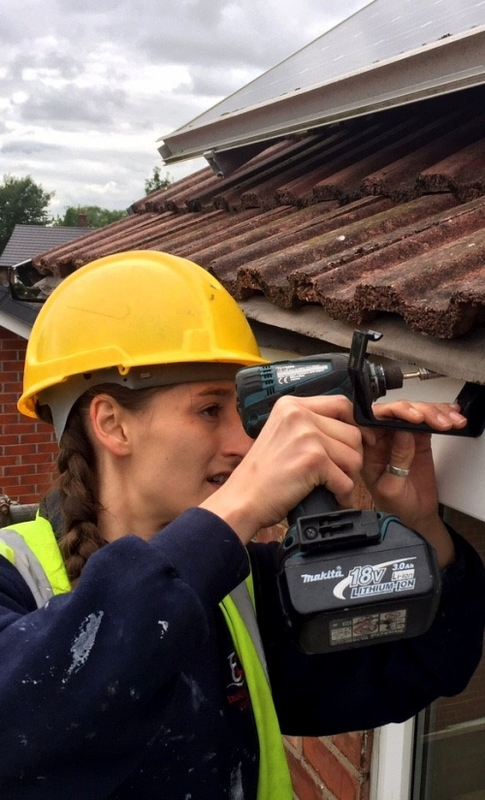 Krista’s positive work placement resulted in an immediate job-offer from B4Box and she is now employed as a Multi-Trade Apprentice developing her skills in joinery, plastering, tiling, painting and decorating, and roofline works. Clare had a long-term career as a machinist and bookbinder before ill health meant she had to leave her job. A period of working through mental health issues meant it was sometime before Clare felt fit for work again. Having always enjoyed practical work with her hands, Clare began to volunteer at a furniture restoration charity and canal barge preservation society, which made her think about other practical vocations. Clare was then referred to B4Box to undertake a training qualification that gave her the chance to expand her practical skills. 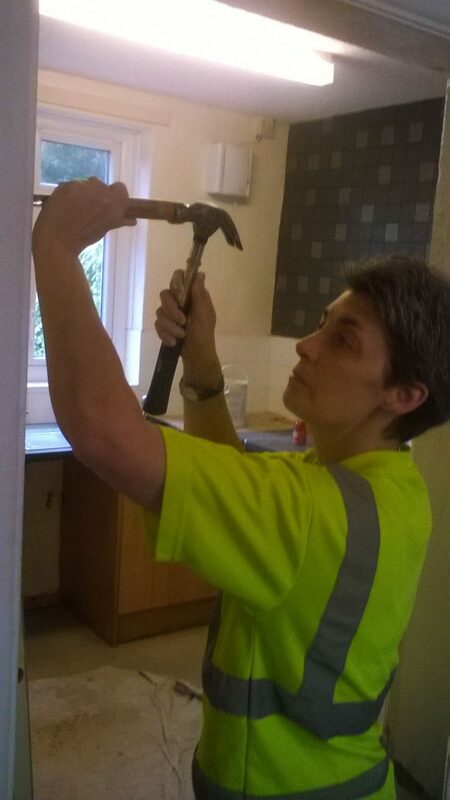 Clare quickly progressed into employment with B4Box and is now currently working through her comprehensive Multi-Trade Building Maintenance apprenticeship. Clare said: “I enjoy what I do, every day my job is different and it’s great to be learning new skills and doing things I’ve never done before. To people looking to get back into work or find a new career direction, I say keep trying. Don’t wait for something to fall straight into your lap because it won’t happen, but if you work hard and try new things, then there can be light at the end of tunnel and like me you can find something that is perfect for you”. John McNamara, B4box Supervisor, said: “I’ve been in construction for 55 years and Clare is one of best apprentices I’ve seen. She is very eager to learn and has quickly picked-up new skills to quickly produce a very good standard of work. I know she is destined to become a great all-round, multi-skilled operative”.